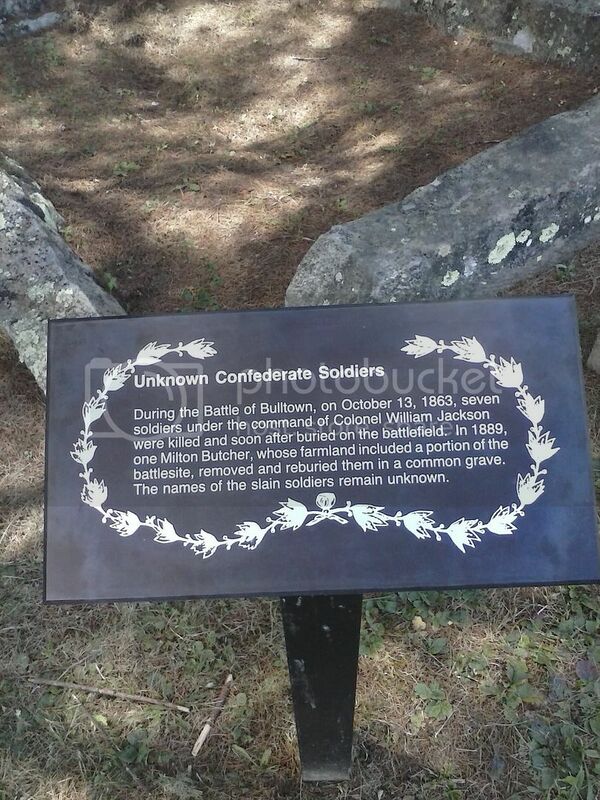 So about ten miles from my work is the location of the Battle of Bulltown. On a whim i drove out there and explored a little, and hard a great time. 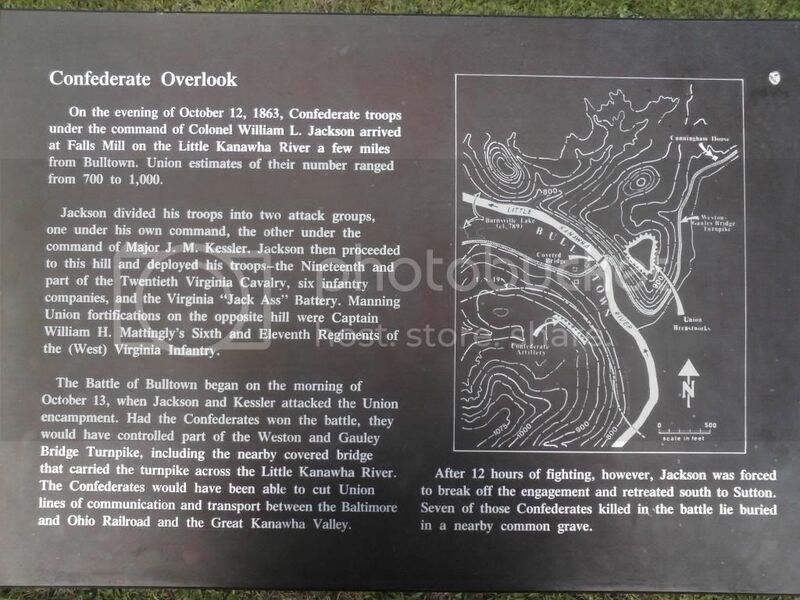 The battle had the Confederate army staged on one hill (more like small mountains), and the Union army entrenched directly across on another hill, with the gully river in between. It was a battle to control the waterway (and a covered bridge spanning it) and a graded dirt road/turnpike. 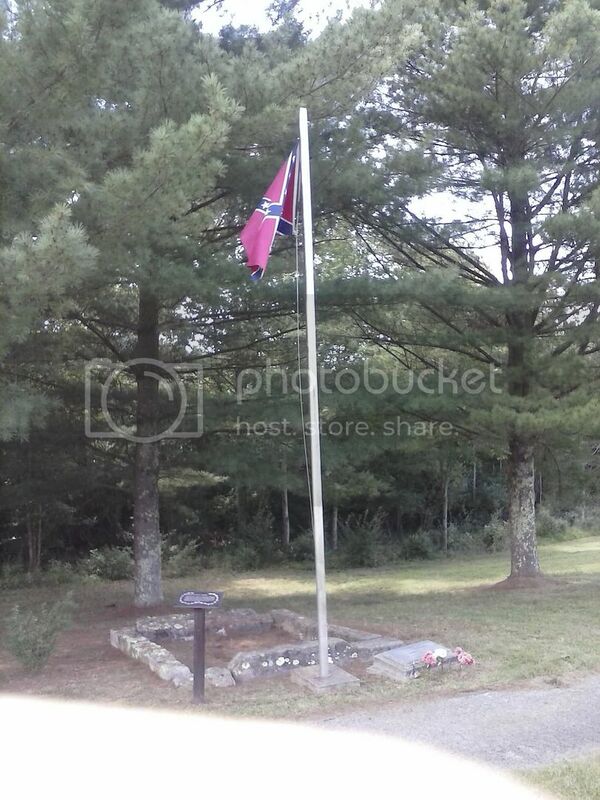 I first went to the confederate side. 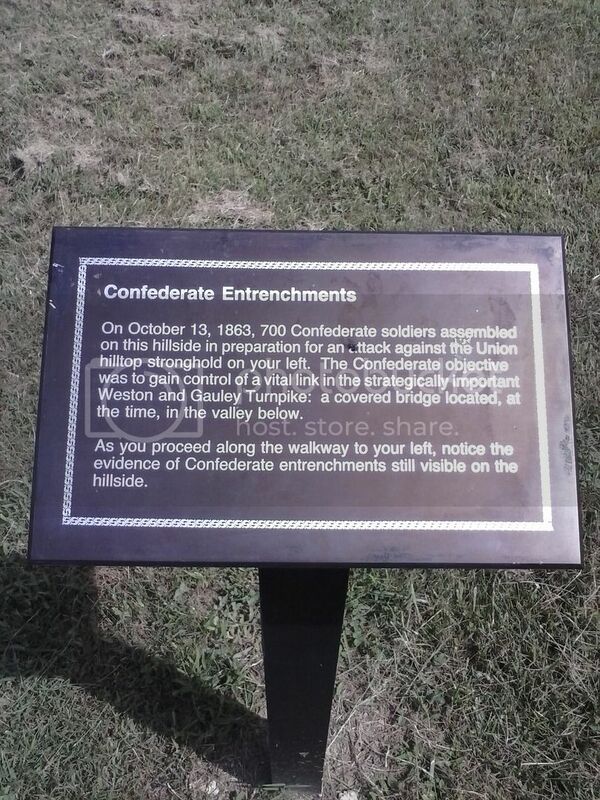 You have to drive a good 5 miles or so to get from one point to the other, unless you like to mountain climb and swim :D The really cool part is you can see the confederate area across the mount from the union side, and imagine the two firing artillery at each other. 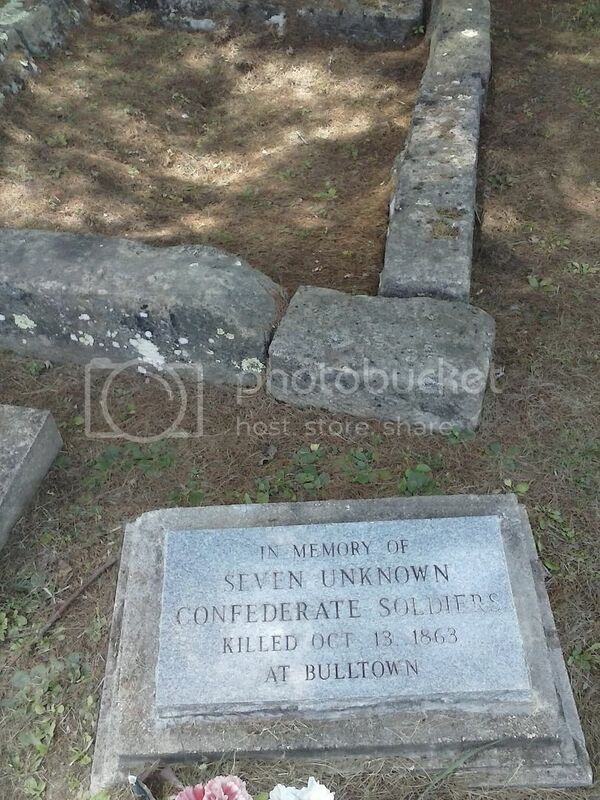 There isn't much to see on the confederate side. There is a cleared hillside, a mass grave (7 really) and some stone remnants of the fortifications. 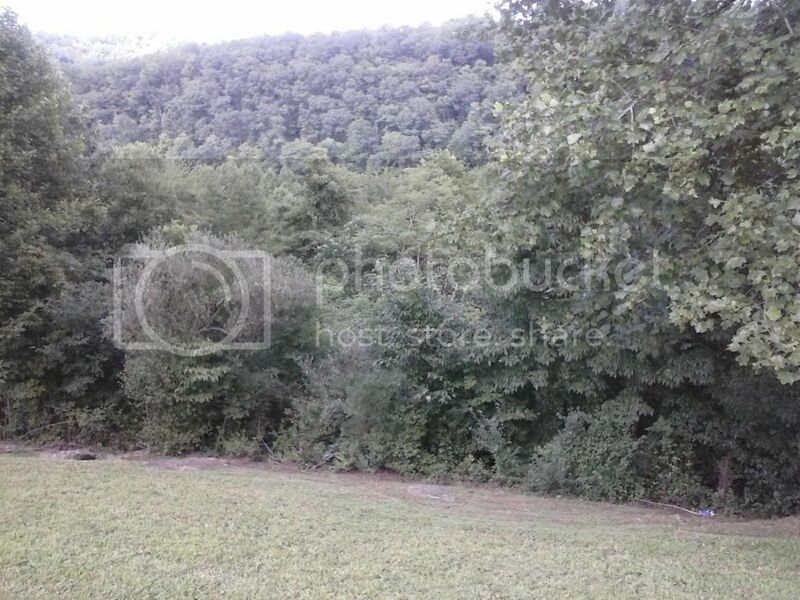 You can look out over the opposite mountain where the union fortification is, but it isn't easily visible through the trees...but the reverse isn't true (as ill show later).